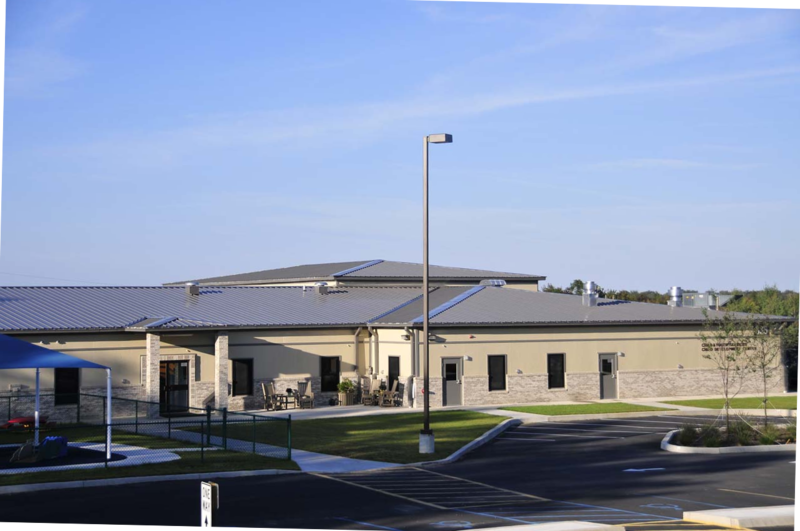 Permanent Child Development Center Serves Army Depot | Sustainable Modular Management Inc. 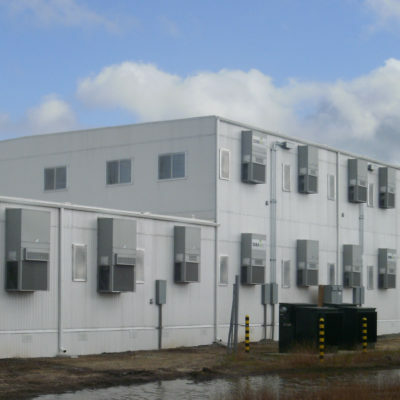 The Tobyhanna Army Depot requested the CDC resemble the existing buildings at the depot, that the building is set “at grade” to eliminate the need for decks, steps, or ramps, and finally to incorporate large, multi-purpose rooms with high ceilings. SMM designed a new stem wall foundation to achieve the look and feel of a conventional building which allowed for the building to be set at ground level. 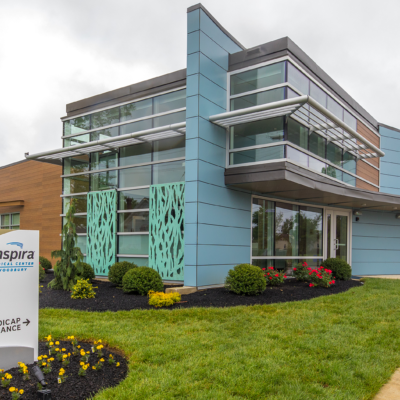 Setting the building “at grade” further enhanced the aesthetic appeal in addition to the standing seam metal roof and the exterior brick and stucco finishes. SMM built and installed the 15,000-square-foot CDC, which served over 130 children and families. To accommodate the various uses of the building, two multi-purpose rooms were included, one measuring 1,400 square feet, the other measuring 2,500 square feet. 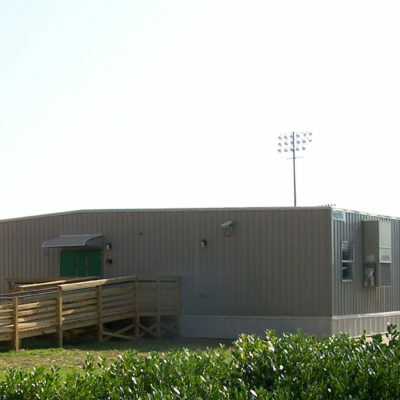 SMM provided design, site work, manufacture, delivery, “at grade” installation, sidewalks, parking lots, a playground and all specialty systems.